Following the world premiere of the groundbreaking Maritimo X60 Sports Yacht, Maritimo revealed further exciting design evolutions to the popular M51 Flybridge and S51 Sedan models to be unveiled in 2018. Two of the most popular vessels in the Maritimo flybridge and sedan motor yacht range have undergone significant floor plan and interior design advancements, with the company revealing further models would be undergoing design upgrades in 2018. 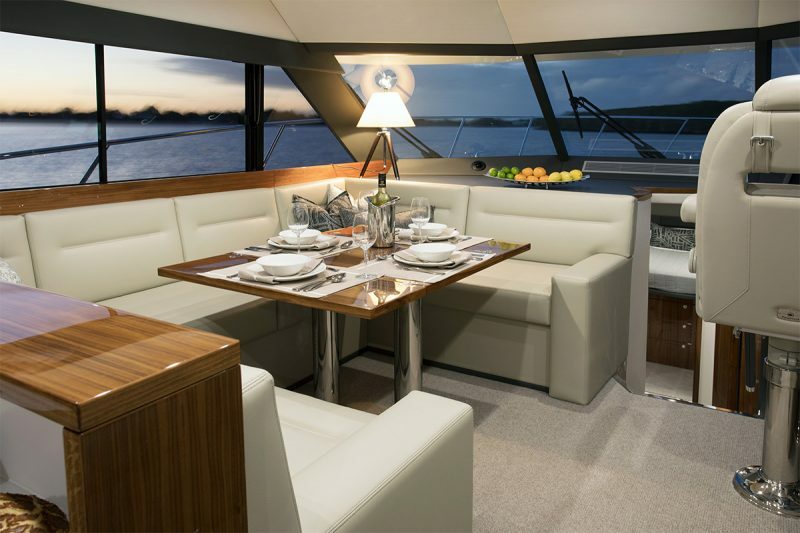 In addition to significant cosmetic updates, the S51 Sedan now includes a spacious new saloon configuration with ergonomic twin helm seat dashboard design, U-Shape opposing lounging and dining space and enhanced galley with island bench. 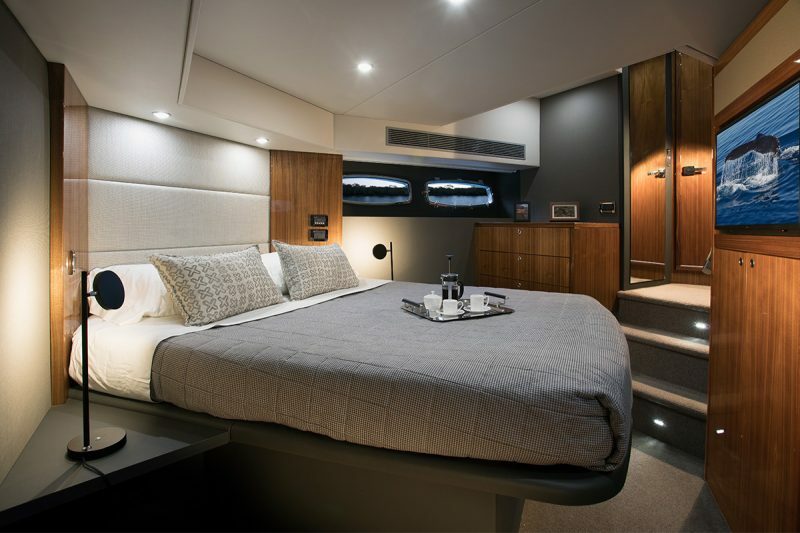 A new master stateroom layout also increases the area within the cabin and provides a more open feel, that mimics its larger relative, the S59. 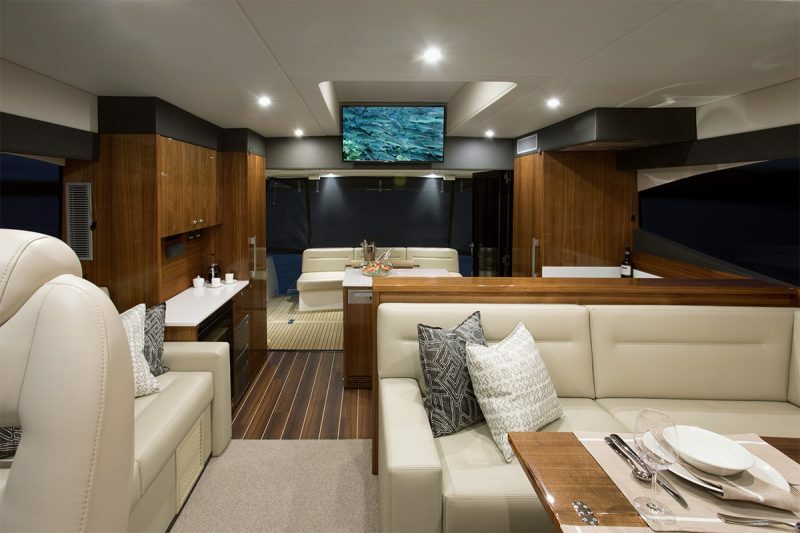 Updates to the M51 Flybridge offer a new ergonomic twin helm seat dashboard design and further enhancements to the master stateroom. Both models also now offer an optional mood lighting addition that elevate the level of comfort and enable the onboard environment to be the perfect retreat. For more information on the impending changes to both the M51 Cruising Motoryacht and the S51 Sedan Motor Yacht, contact Ormonde Britton or Spence Thorpe. Situated next door to the Maritimo factory on Queensland’s Gold Coast, we are perfectly positioned to introduce customers first hand to the wonder and magic of Maritimo boats.